The EOEP Data User Element (DUE), like its Data User Programme (DUP) predecessor, has the user as its top priority. The direct and active involvement of user organisations is mandatory in all DUE projects. This involvement is aimed primarily at developing EO- based products and services responding to real user needs. The definition, implementation, integration, validation and qualification of these products and services is to be carried out in close collaboration with these end-user organisations, and in agreement with their standards and practices. The overall DUE procurement approach aims at fostering an effective collaboration with these user communities. Part of the programme is dedicated to discovering potential users and then educating them about the capabilities of EO within their own working framework. This is termed the "User Breeding Path" and deals mostly with public sector entities, e.g. national ministries, non- governmental organisations, international scientific programmes and international conventions. the will to explore the potential of EO technology as well as to incorporate EO technology within their internal working procedures. The involvement of a "Champion User" at programme level is essential. The aim should be to gather the information needed by the user community before issuing an ITT in order to focus on key topics of interest for the overall user community and to better respond to specific user needs and requirements. Having a "Champion User" at project level is also critical. This is to ensure that the final products and services derived from DUE projects respond to the specific needs of the corresponding user communities as well as allowing users to have direct contact with the products and/or services developed, so that they can appreciate the benefits and advantages of EO technology. fifth, to promote the results of the projects in their community and in particular within the local organisations that fall under their responsibility. When required by one party, the user participation in DUE projects can be made official in a Project Teaming Agreement to be signed by respective high representatives of the European Space Agency and the subject "Champion User(s)". "ESA is providing the basis for international discussion in the North Sea region for finding exemption zones. They will be of immediate practical value and have an impact on ballast water management regulations in this area." "We need to sustain an international effort to make sure we can link one satellite dataset to another to build the long-time series that we need to distinguish change from cycles, and GlobColour is definitely a significant step in that perspective." "The GlobCover product will be the first freely available product at 300m resolution and is therefore a milestone product which will be fundamental to a broad level stakeholder community." "The integration of in-situ observations with satellite observations helps us to better understand and forecast specific geological phenomena like volcanoes and seismic sites […] In- situ observations have a local approach while space-based observations have a global approach. With these communities working together, we integrate our approach and enlarge our horizon." "Data from the 11-year time series of GOME and SCIAMACHY provide valuable information to improve estimates of nitrogen dioxide emissions as well as to identify the source regions and to study the regional ozone chemistry in light of seasonal meteorology." "The results of the IWAREMA project can be used to protect Zambia’s ecosystems particularly in the Kafue flats where wildlife, agricultural activities, fisheries and tourism compete for regulated water resources." "The ESA Aquifer project has demonstrated to us and the countries several tools that space technology can provide. We are starting the GEO-AQUIFER project because we think this technology can help us to get information quickly on issues that have an exponential evolution." "The SAR Wave Mode product allows us to locate and systematically track swells globally. In the near future we anticipate using SAR wave data to predict their arrival time and intensity." "[GlobCover] will also significantly contribute to the monitoring and assessment of global land cover and as such will support the contribution of FAO to the assessment of land degradation and the monitoring of global forest cover." "Clues to climatic changes may already be written on the oceans’ surface. Because we now have detailed data that allow us to look for correlations, we are learning how to read those messages. […] ESA is making a difference to public awareness of climate change by helping us to better understand the sea surface temperature story." "The value of EO-derived information increases as it is used in integrated water resources management to improve decision making. The transfer of expertise and the building of local capacity is a real achievement." "Thanks to ESA's support for GlobWetland and its data dissemination, the situation of monitoring single, several or nation-wide wetlands has recently improved rapidly." "The [ATSR World Fire] atlas is an excellent resource that provides a glimpse of the world that was not previously possible, and which is certain to allow ecologists to address both new and old questions regarding the role of fire in structuring the natural world". "The training has been really stimulating. I used to perform these tasks manually, which is tedious and cumbersome. I am now anxious to get back to the office and use these products to update my past work. It is marvellous." "GLOBCARBON is definitely a useful product for the carbon modelling community. Information about LAI is important because it gives us an ability to constrain the amount of green biomass available for photosynthesis and gas exchange through evapo- transpiration. It is a similar story with vegetation growth cycle – or phenology. Improved information allows us to improve our knowledge of the length of time that leaves are out, influencing vegetation's ability to assimilate carbon from the atmosphere. Burnt area estimates are also useful because we don't fully understand global fire occurrence patterns either. We can map active fires from space, but what we are seeing there is only the part of the Earth that is combusted at that moment. To get a complete picture we need to record the full area burnt, which is useful for determining how much biomass has been removed from the Earth's surface and consequently how much carbon has been liberated into the atmosphere." "For us the advantage is that [the KYOTO-INVENTORY] products are available annually, and this is something that compares very positively with our current land use surveys. It is very useful to have these remote sensing data in conjunction with our statistical information, to interpolate the two and improve our reporting." "[The KYOTO-INVENTORY] method has a number of advantages and addresses a number of our needs, and it does so in a manner which I think will turn out to be cost effective. Studies in other parts of the world have shown this is a way to do it especially in cases when you do not have enough forest monitoring stations on the ground to make sure you have the appropriate accuracy, or the possibility to revisit the areas as often as you can with satellites." "What satellite multispectral or radar images can do is allow us to map vegetation species, and see where there are concentrations of invasive plants to give us problems. Radar also shows up the extent of flooded areas well, so we can see how water levels are changing. Historical satellite images are useful to see patterns over time – a lot can happen in 30 years, or just a decade. Annual satellite updates will help us into the future." "Although sensors detecting water are useful, most wetlands are associated with vegetation, so characteristic wetland surfaces may be anything from forested or floating plants to rice paddies or wet grassland. Building up a catalogue of characteristic signatures for all latitudes has only just started, so the GLOBWETLAND project, by virtue of its wide geographical and temporal reach, is a very useful platform." "Direct satellite measurements of carbon dioxide will have as dramatic an impact as the Hubble Space Telescope within the Earth science field. It should give us a completely new picture of something more or less completely unknown, showing us the carbon flux across tropical areas such as South America and Africa, where we basically have no data available right now." "Interpolated SST maps are of fundamental importance to improve marine weather forecasts. They are operationally assimilated into numerical models and allow a better initialisation of the surface fields. Marine forecasts are essential for many aspects of risk management related to human activities in the ocean and along the seashore. This data promises to improve both oceanic and atmospheric forecasting, as well as our understanding of oceanic processes themselves." "Meningitis outbreaks take place after a period without rain, low humidity and lots of dust in the air. […] Making use of satellite data enables us to follow week by week the development of the dust storms and the appearance of conditions favourable for an epidemic to start." "UNEP anticipates being able to put the GLOBCOVER map to good use within its programme of assessment and early warning of emerging environmental issues and threats, particularly those of a trans-boundary nature. 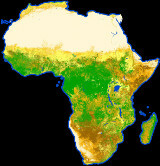 Changes in land cover patterns, effects of environmental pollution and loss of biodiversity often do not respect national or other artificial boundaries. An updated view of such problems - or their effects - from interpreted space imagery should offer a large boost to UNEP's effort to monitor the health of the planet and our changing environment." "The experience of being a SLAM end-user has been very positive. Most of all because it has been possible to combine the technical and scientific information with the way we normally work, in support of decision making. This is not always possible with such highly innovative projects." "Compared to traditional data sources, SLAM products have the advantage of uniform coverage of the entire area of the river basin. They also provide important information on the temporal evolution of slope movements, which is very difficult to obtain ordinarily”. "These are maps we have wanted to create previously, but we simply haven’t had the tools to create them. Remote sensing is providing useful assets for our work." "I was negative about the role satellites could play in addressing epidemics, but now I am positive"
"In Afghanistan, accurate satellite maps of the Almar/Qaysar Districts showing the terrain and the situation of roads, towns and villages. These maps helped us choose the best routes for displaced people, to estimate the amount of time it would take to reach them, and to plan emergency evacuation routes for our staff." "We are looking to ESA for the scientific tools for monitoring the sites and warning national authorities about risks to the sites." "The advantages of remote sensing is that it allows us to monitor extensive areas and monitor remote regions with difficult access." "It is very useful because there have been no new maps made of this area since the 1970s, despite the fact that African cities change so fast – new suburbs can spring up rapidly as populations move. Satellite pictures represent the best way of seeing how the city has evolved." Satellite data can give us global maps of UV levels, and we can use them to work out realistic doses, as well as fine-tune the doses simulated in laboratory tests." "The success and stability of SCIAMACHY so far is a tribute to the instrument builders, operators and data retrievers, and an important step on the way to establishing an operational global observing system for the Earth's atmosphere." "Considering this frequency of field measurements, our need is to retrieve information with a higher temporal sampling. 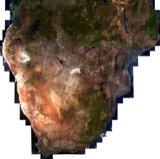 Use of satellite data allows optimal coverage in both space and time – every 35 days in the case of ERS-2 or Envisat, against once or twice a year with GPS and levelling techniques." "The real ESA goldmine – where Kyoto-Inventory fits right into our current efforts – is the baseline 1990 data it provides, which is needed to measure subsequent changes in carbon stock." "SCIAMACHY is the first instrument that can actually measure carbon dioxide in the atmosphere at the precise locations we live at"